You may be wondering why some EDM songs sound better and louder than others. The secret lies in mastering. Mastering is all about preparing a song for its final public release, so it’s your final chance to polish it and make it shine regardless of the sound system it’s played on. Mastering is a challenging process. But with patience, practice and persistence you can become a mastering guru. In this article, I’ve shared ten tips to guide you when mastering your songs. Ideally, you should be making small EQ and dynamic processing changes when you reach the mastering stage. Turning things up way too high or making large EQ dips is a sign that your mix was not optimized. You shouldn’t be making significant corrective EQing moves during mastering. You should just be accentuating what’s already there and putting the spit-shine on the track. As a general rule of thumb, if you have to change the gain on an EQ more than 3dB, it’s a sign that something isn’t right in the mix. It’s also generally better to use multiple plugins for carrying out small, specific tasks than having one plugin doing all the heavy lifting and making significant changes to the master. It’s tempting to compress or limit your entire track just for the sake of it. But this is a big no-no. You should never make changes to the whole song unless it’s necessary. For instance, you may find that the mids and the highs are nice and fat. But the low end isn’t as loud as you’d like it to be. In this case, you should make use of a multi-band dynamic processor only to make changes in the low end. Even though multi-band compression is a helpful tool, you should only use it when necessary since it does affect specific frequency ranges. So it still poses the risk of changing multiple sounds in the track. If you do use it on the highs and mids, you should set a fast attack (0 – 5ms). This can help tame piercing hi-hats, snares and rimshots. It’s easy to get carried away with meters, lights, and knobs from all your plugins when mastering a song. All the doodads can make you second-guess yourself. You shouldn’t allow these things to make decisions on your behalf. Your ears should be the final judge. If the song sounds and feels right, it’s good. It’s quite common among newer producers to put multiple plugins which effectively cancel out one another. For instance, you may put an EQ to turn down certain frequencies and then put another EQ plugin on your signal chain which turns up those same frequencies. It’s imperative to have a purpose for every plugin you put in your mastering signal chain. So take time to analyze the problem at hand before doing any processing. The job of a mastering engineer is not only to make the track loud but to also make sure that the song translates well to other systems. In this day and age where people are obsessed with loudness, it’s easy to forget the real task at hand. A good song should have dynamic range. Having good dynamic range helps provide more distinction between the sounds. Furthermore, excellent dynamics can help increase the emotion on the track due to the relative distancing of the sounds. 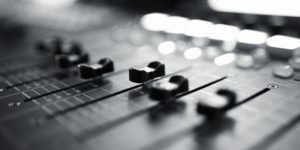 Depending on how you mixed your song, your drums may end up sounding louder than other people’s songs, when played back on a massive sound system. If you find yourself killing the dynamics of the song too much, you should dial back on the compression and limiting. Just because you’ve made a song louder doesn’t mean you’ve made it better. It’s a good idea to minimize the compression during your mix stage before you even master your song. Too much compression at the mix stage can kill the dynamics so much, that by the time you reach the mastering stage and add more compression, your song has lost its liveliness. Having a track with a broader stereo image isn’t always necessarily better. If the stereo image is too wide, it may not translate well, especially on big playback systems. A wide mix may sometimes feel disjointed or incomplete. In such cases, you should put a stereo widener and narrow the stereo image until the track sounds more cohesive. It’s of utmost importance to compare your work with other hit EDM records while you master. A comparison can give you ideas on how to tweak your track. It also gives you a goal to work towards and makes it easier to know when you can consider the track finished. Listen intently for volume, stereo width, prominence of the drums, etc. Try adding some EQ or an exciter to bring life to your track if it sounds flat compared to other records. It’s also highly recommended that you test your masters on different systems. So you can take your reference track and your master and play them back in the car, on your phone, etc. as a way of checking how they sound. Professional mastering engineers spend thousands of dollars on their setup. Luckily these days our DAWs come with pretty much all the tools you need to master a track, so you don’t need to spend much money. However, one thing you should take time to sort out before mastering is your room acoustics. Why should you acoustically treat your room? Your room acoustics directly affect how you hear the music you’re working on. Having a room that’s not optimized for mastering can fool your ears into believing you’re doing a good job when in fact you’re not. A large part of mastering is about making judgments, and your ears are the primary tool for doing that. If your perception is skewed, you may end up ruining the track altogether. Mastering is a not the time where you should be correcting mistakes made in the mix. In case you find yourself making too many corrective moves you should consider scrapping the master and going back to the mix. It may sound like regression to have to go back to the mixing phase. But remember that once your song is released, there’s no turning back. So you should aim to make the best possible product you can. For instance, if the vocals in your song have too much sibilance, it’s best to go back to the mix and de-ess the vocals correctly before moving on to mastering. Many heavy-hitting producers have been known to get their songs mixed and mastered multiple times all in search of perfection. If your mix isn’t optimized, your mastering process will be affected. Try your best to sort out as many issues as you can in the mix phase before moving on to the mastering stage. Why does my entire track sound like it’s pumping? This is a common question among lesser-experienced producers and engineers. Any undesired pumping happens typically when your compressor settings are not properly adjusted. Pumping is a technique that’s commonly applied in EDM. However, it’s not something you want to have on your master channel. To avoid the pumping effect, you should set a fast attack as well as a relatively quick release of the compressor. This allows the compression to kick in and out quickly and minimizes the pumping to a minimal level. The above tips should merely act as a guide when mastering. After all is said and done, your ears should have the final say. Please share any other mastering tips you may know in the comments section. Also, remember that it takes years of practice and learning to become an expert in mastering. So keep practicing your craft every chance you get. And most important of all, have fun!